Son of Rechab, a Kenite (I Chron. ii. 55), the founder of the so-called Rechabites (I Chron. ii. 55; Jer. xxxv. 6-7). The English versions transliterate everywhere in Jeremiah "Jonadab," although the Masoretic text reads thus in Jer. xxxv. 6, 10, 19 only. The name signifies "God promised or gave" (comp. "Chemoshnadab"). 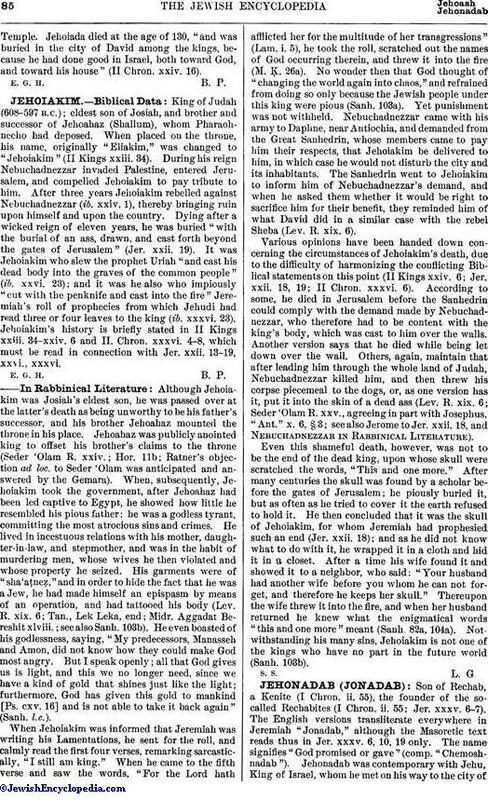 Jehonadab was contemporary with Jehu, King of Israel, whom he met on his way to the city ofSamaria, where he purposed to eradicate the worship of Baal. 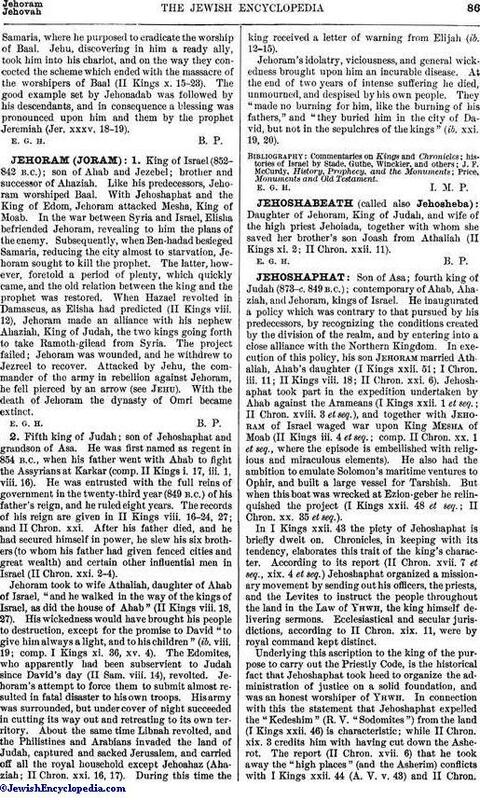 Jehu, discovering in him a ready ally, took him into his chariot, and on the way they concocted the scheme which ended with the massacre of the worshipers of Baal (II Kings x. 15-23). The good example set by Jehonadab was followed by his descendants, and in consequence a blessing was pronounced upon him and them by the prophet Jeremiah (Jer. xxxv. 18-19).